Next generation innovations like cloud computing, IOT, and artificial intelligence are bringing with them next generation challenges. As storage standards such as PCIe progress from Gen4 to Gen5, there will be keen focus on increasing data rates, overcoming channel loss and intersymbol interference (ISI), fully automated acquisition and analysis, and debug at both physical and protocol layers. Keeping pace with the next generation of data rates and storage standards requires end-to-end solutions that can scale to 32Gb/s while providing current-gen capabilities. Manual calibration at 16Gb/s and faster is extremely time-consuming and oftentimes frustrating. Automated step-by-step calibration wizards are a must to ensure the testing set-up is correct to save valuable time and money. Shorten design cycles and time to market with full automation of data acquisition, compliance analysis, and equalization. 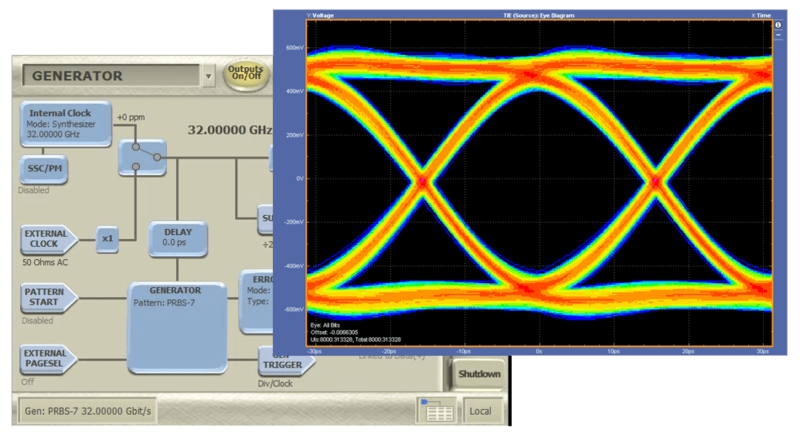 Tektronix provides the most complete single-vendor test solution for storage and server standards through 32 Gb/s for PCIe, SAS, and SATA, including automation and debug capabilities. Save valuable hours or days with automated calibration set-up. As you may have experienced, debugging loopback initiation and handshaking of a Gen4 DUT can take several hours to complete, as the complexity of the systems and AIC designs are increasing, and you still may not get full insight into what might be wrong if tests fail. Put simply, the sooner you can gain insight into complex protocol handshake challenges, the better. 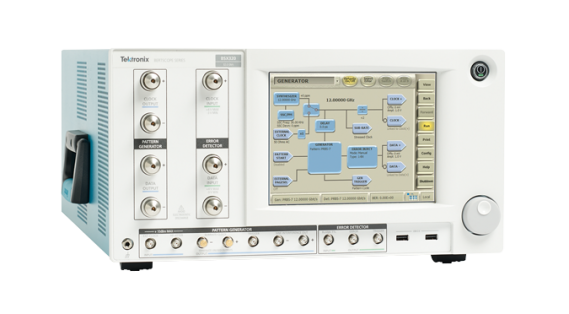 Tektronix’ BSX Series BERTScope features customizable pattern sequencers and capture-and-decode triggering to provide the needed insight to find the root cause when things fail. 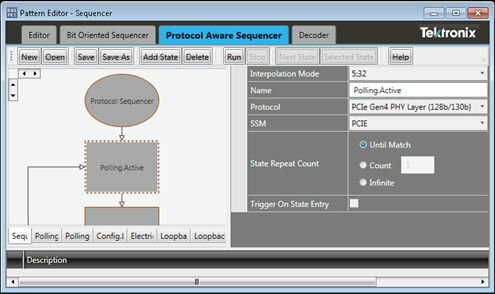 Effortlessly and efficiently put the DUT into loopback mode or complete a link training process with protocol aware sequencer. Anxiety and ambiguity go hand-in-hand when testing for next gen standards. 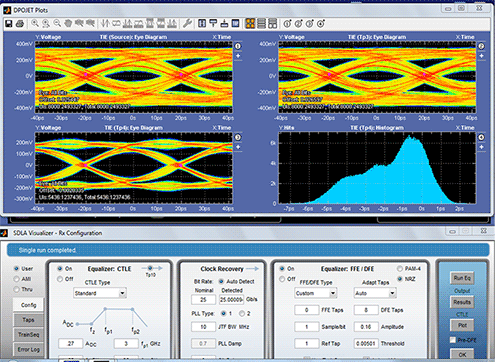 As data rates increase to 32Gb/s best-in-class signal integrity test and debug tools are imperative to open up the eye at the end of a lossy channel, which Tektronix provides for both transmitter and receiver testing. 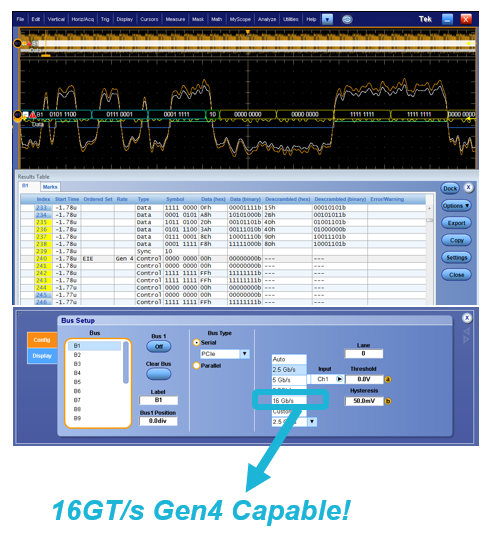 Along with legendary reliability, Tektronix provides unmatched precision measurement SDLA tools for equalization and s-parameter loss de-embedding using lowest-noise DPO70000SX scope, as well as the BSX Series BERTScope bit-error location tools to determine root cause of pathological bit error problems. 32G eye diagram generated by BSX320, measured on a Tek real-time oscilloscope. Understand the important aspects of this continually changing standard with an overview of what’s new in PCIe Gen4, key considerations in setting up a comprehensive debug process, including loopback initiation and protocol handshaking, along with procedures of transmitter and receiver testing to keep in mind and more. This webinar will provide the information on test processes for PCIe devices to allow you to reach compliance faster. 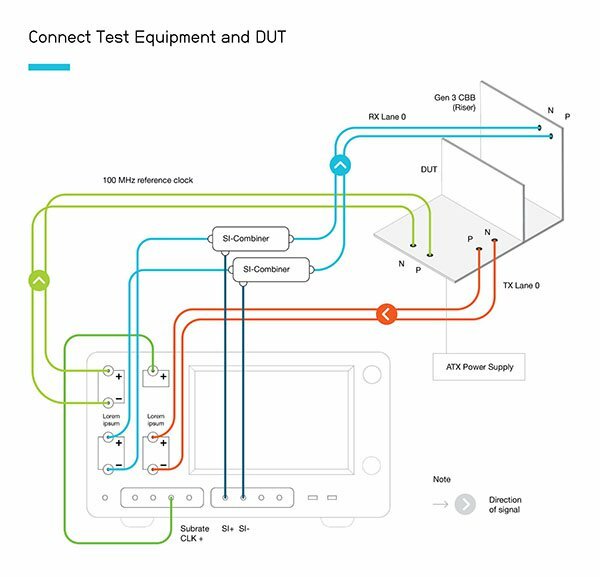 Download this new application note to get vital information on performing compliance and diagnostic tests for Gen4 enterprise receivers with Bit Error Rate Testers. 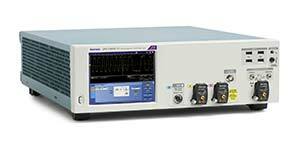 Get the most accurate characterization and margin analysis accomplished using the industry's lowest noise DPO70000SX Real-time oscilloscope. Observe and debug protocol link training through 32 Gb/s, automate compliance testing, and customizable pattern sequencer for loopback initiation and link training, and more. Perform in-depth analysis, automated compliance testing, and debug for current and next generation PCIe specifications (Standards Gen 1, 2, 3 and now PCIe 4.0). Simplify test set ups and perform in-depth error analysis with single-vendor automated Tx and Rx compliance tools for current and next-gen SAS and SATA interfaces. Facing challenges in other wired communication applications? Your quote has been requested.